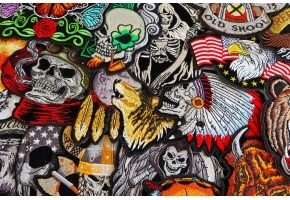 If you want to create a talking piece then this is the perfect patch for you. 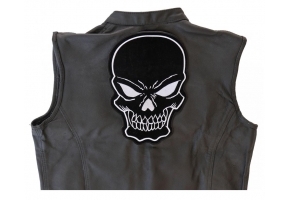 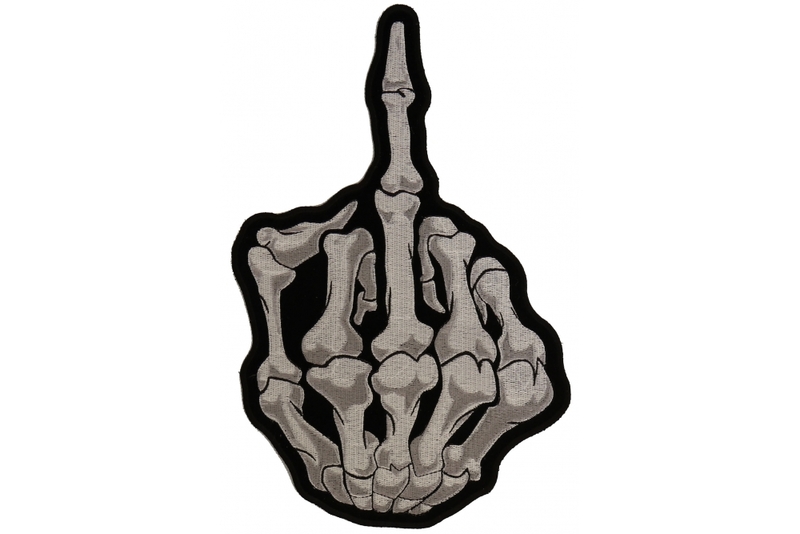 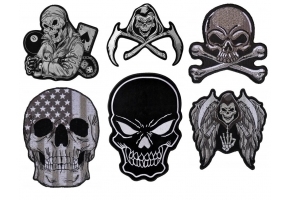 The ‘Skeleton Middle Finger’ patch gives you a dramatic way to let everyone know that you don’t give damn! 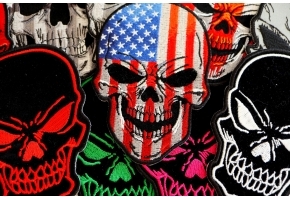 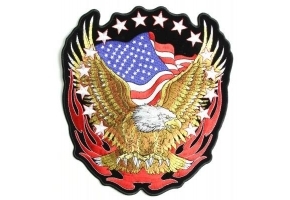 The design on this patch is definitely for someone who wants to turn heads and you will be sure to see jaws dropping when people see this 7 x 11 inch statement piece patch on the back of your vest or jacket. 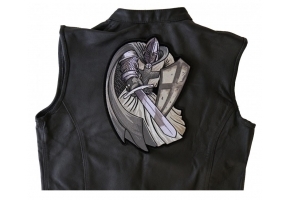 If you want to apply this easily to any material except leather, then you have the option of ironing it on. 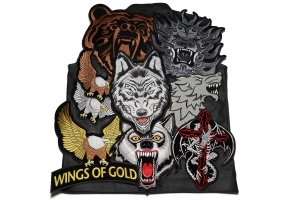 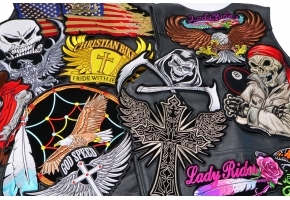 However if you want this on your favorite leather jacket then you can use the thick die cut borders to help you sew it on instead.